With unprecedented access inside the California Institution for Women, Sin by Silence offers a unique gateway into the lives of women who are domestic violence’s living worst-case scenarios—women who have killed their abusers. Brenda Clubine endured broken bones, skull fractures, and a bruised and battered face. By the time Brenda was put behind bars, for killing her husband in 1983, she felt worthless. She received a sentence of fifteen years to life and had to give up her son for adoption. She thought she was the only one in her situation. But Brenda soon discovered that she shared common experiences of love turned violent with many of her fellow inmates. 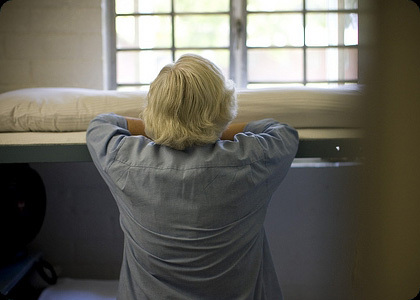 After years of meeting on the yard and telling each other their whispered stories, in 1989 Brenda’s revelation inspired the inmate-initiated and led group Convicted Women Against Abuse (CWAA). This support group, the first of its kind in the entire U.S. prison system, has become an avenue to help women inside prison break their silence about abuse and learn more about what they need to do to help others stop the cycle of violence. Olivia Klaus’s career began with extensive travel throughout Central America and South America, gathering stock footage and interviews for various nonprofit organizations that serve social justice issues in poverty-stricken areas of these regions. Ms. Klaus’ production work includes numerous credits on various documentaries, films, cable series, international programs and DVD works including MTV, Showtime, The History Channel, E!, OLN and the Food Network. She has been associated with Avant Productions as their creative director since 2003. She also serves as an adjunct professor in the cinema and digital media department at Vanguard University of Southern California. In 2004, Olivia created Quiet Little Place Productions with a visionary group of colleagues devoted to producing innovative and vibrant stories for the screen, the stage, the page and the Web. Ann-Caryn Cleveland is currently the head of the cinema-digital media department at Vanguard University. She received her MFA from USC’s School of Cinema-Television and is currently writing a book called Crafting Images: A Hands On Approach to Communicating to an Audience. Her wide range of creative work includes motion graphic design for Sony Pictures, HBO, MTV, and the Fine Living Channel. She has worked on documentaries, including The Swell Life, as well as other projects that have aired on the CBC, the Sundance Channel and PBS. Quiet Little Place Productions, LLC. • Welcome to North Korea! • What's On Your Plate?